When an organization operates in the competitive world of consulting – where brand is a critical differentiator – it can be tough to stand out as a thought leader and sustain engagement with prospects. This was one of the greatest challenges business and technology consultancy West Monroe faced daily: Reaching and nurturing current and potential customers effectively. 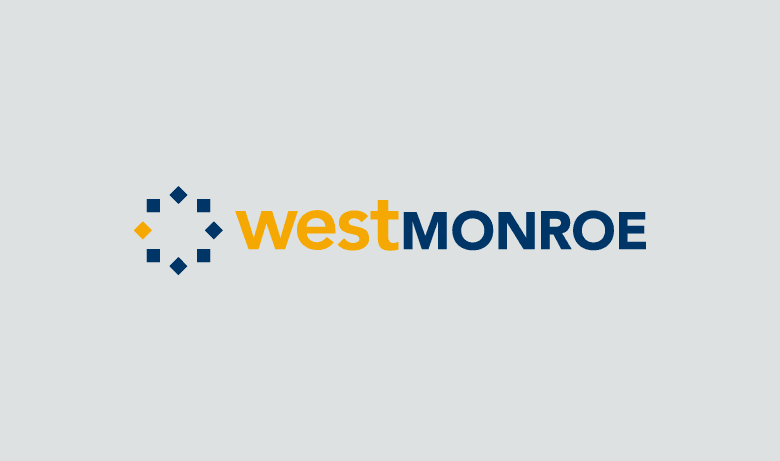 While some organizations stick to traditional marketing channels to generate brand awareness and qualified leads, West Monroe decided to look to its employees to build a name for itself. With Bambu by Sprout Social, their team successfully increased their footprint on social while simultaneously empowering employees with the opportunity to position themselves as thought leaders in the industry. These efforts helped West Monroe amplify their brand message, stay top of mind and build new relationships that would have otherwise been inaccessible through traditional marketing channels. West Monroe consists of consultants and practitioners who not only understand business objectives, but are also deep technologists who can help achieve those objectives. The 15-year-old firm identifies its core difference as, “the team’s ability to blend business acumen with technical expertise.” It’s one thing to say you’re an expert, but in the highly competitive consulting field, you have to prove it – day in and day out. Using Bambu’s platform, West Monroe curates content relevant to each of its core industries (such as healthcare, banks and utilities) for its employees to share on their social channels and build their personal brand. This consistent curation of relevant, authoritative content positions West Monroe’s consultants as trusted experts in their respective fields, in turn amplifying the firm’s brand awareness with an engaged and receptive audience. With employees systematically building their personal brand and domain expertise through Bambu, they are effectively cementing a holistic social strategy that is reliable and trustworthy. In addition to building its reputation as trusted experts in the industry, this practice of thought leadership has produced tangible business results for West Monroe. We’re seeing that visitors from Bambu shares are more engaged with our brand. Check out a personalized demo of Bambu, focused on distributing curated sales materials to your team to build thought leadership and establish new relationships. Personalization is key when empowering employees with content to build their personal brand. They need to have a choice in what they share and how they share it on social media so that it reflects their true voice. This considerate approach to fostering thought-leadership was of the utmost importance to West Monroe. Before Bambu, West Monroe’s marketing team simply sent out emails to employees asking them to share relevant stories. Now, the team is able to curate the most impactful stories, suggest accompanying messaging and provide images all in one centralized platform. “The launch of Bambu has really helped streamline our process and created a foolproof way for our employees to share our content,” says Older. But not only is thought leadership content easier to share through Bambu, it’s also more personalized. “We wanted to make sure that the content employees see inside Bambu is super relevant and useful to them and their audience,” notes Older. “So each person has a tailored experience when they log in, and can only see content on topics they’ve selected.” This level of personalization gives the employees control over their personal brand and how they want to build it. To do this, the marketing team developed an employee survey and posted it as an internal story within Bambu. Employees indicate which topics are of most interest to them and to their social audiences, and then receive only content that falls within their indicated topics of interest. The internal survey can also be updated at any time in case an employee changes his/her mind. Another Bambu feature that West Monroe has found particularly useful in improving the user experience is the “Suggest a Story” function. As a team that prioritizes data-driven decisions supported with metrics, West Monroe tracks shares by practice and recognizes their top Bambu users. West Monroe credits much of its success in the implementation of the Bambu platform to its executive leadership team. McCarty championed Bambu from the outset, sending out an email personally endorsing it and later starring in an instructional intro video for West Monroe employees. The marketing team also set up one-on-one meetings with every executive leader to personally train him or her on Bambu’s uses and benefits. This top-down strategy proved to be extremely successful for the firm, as it now boasts a sizable 400 active users in the platform. And pay off they do. West Monroe’s social media traffic in Q1 is up 123% YoY, with half of that traffic coming from Bambu shares. Employees have also reported a marked change in company perception since they began sharing.